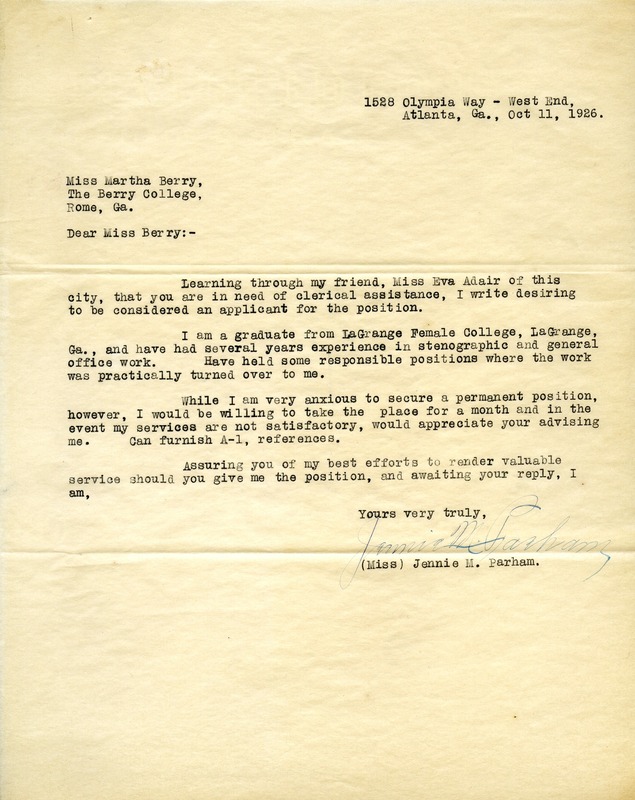 Jennie M. Parham is writing Martha Berry to be considered for a clerical job at Berry College. Miss Jennie M. Parham, “Letter to Martha Berry from Jennie M. Parham.” Martha Berry Digital Archive. Eds. Schlitz, Stephanie A., Chelsea Risley, JC Albritton, et al. Mount Berry: Berry College, 2012. accessed April 19, 2019, https://mbda.berry.edu/items/show/3113.